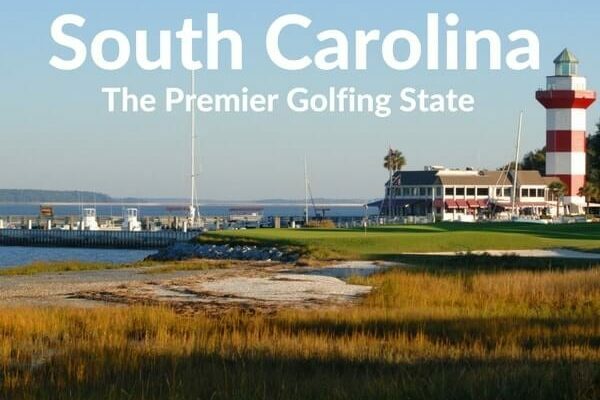 Despite being the 40th largest state in America, South Carolina still stretches across 187 miles of sun-kissed coastline and is home to nearly 400 golf courses. Fact: 187 miles is roughly the distance from the Your Golf Travel offices in Farringdon to Sheffield.. The majority of the state’s golfing catalogue can be split up into three remarkably different areas, where the courses boast huge character and personality, traits which are coincidentally shared by the cities, islands and citizens where they reside. 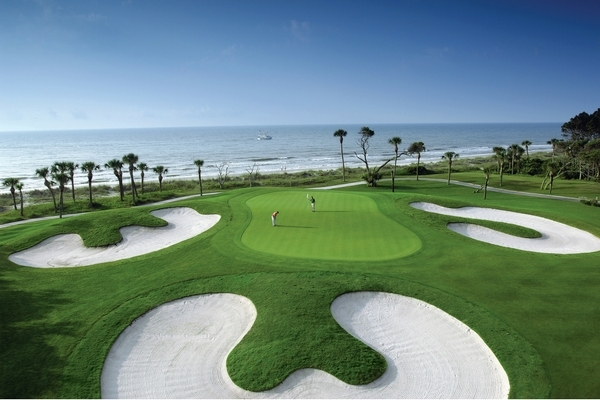 Hilton Head Island is located in South South Carolina, got it? The eccentric island boasts 12 miles of wonderful sandy beaches and is known for its fresh seafood and flourishing independent businesses, which bring bundles of character. One of the liveliest parts of the island is the brilliantly named Barmuda Triangle, a stretch where five bars dominate the evenings with fresh cocktails, live music and entertainment. 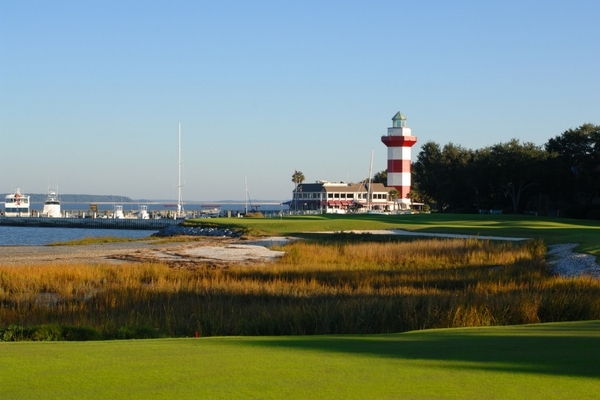 Without doubt the most iconic landmark of Hilton Head is the Harbour Town Lighthouse located at the Marina. The recognisable structure features heavily at Harbour Town Golf Links, with the 18th hole playing right up to its base. Out of the 24 courses that grace the island, Harbour Town Links and Palmetto Dunes are by far the premier choices for visiting golfers, offering stunning locations, challenging layouts and brilliant resorts. As you walk the cobbled streets and take in the fascinating antebellum architecture, you soon realise the contrast between the modern environment of Hilton Head Island to that of Charleston. In fact, the city of Charleston is steeped in rich history, dating back to the early beginnings of the US Civil War. These past times are paid homage to through a range of galleries and museums as well as tours round the impressive pre-war buildings. However, Charleston does let its hair down with brilliant food festivals on the traditional streets as well as fashion shows and art shows for the creative local. 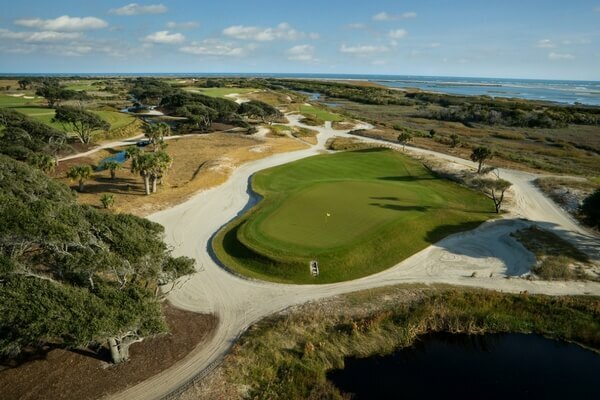 While not technically in the city of Charleston, Kiawah Island is just a short drive away and is home to what many believe to be South Carolina’s greatest course. The brilliant Ocean Course hosted the famous ‘War on The Shore’ 1991 Ryder Cup and is set to host the 2021 PGA Championship. 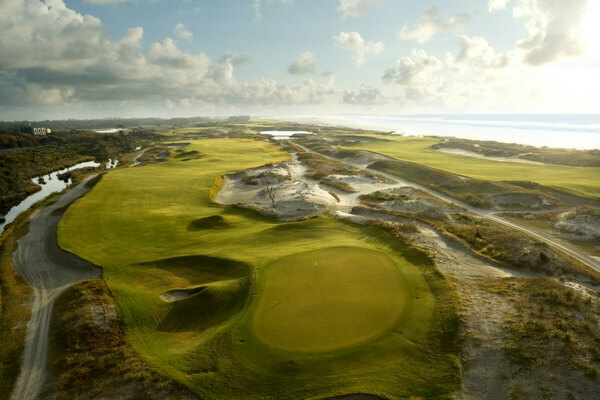 With 10 holes which line the coastline and offer a stern test for even golf’s elite players, this can definitely be considered a bucketlist destination. If your golf holiday isn’t complete without a bit of a party, then Myrtle Beach should be your destination of choice in South Carolina. The 60 mile stretch of coastline is a renowned holiday town and the magnificent sandy beaches are met with an unrivalled nightlife scene. By day Celebrity Square is the perfect shopping spot, where you can visit designer outlets and grab a lovely lunchtime bite; by night the area comes alive with bars and clubs opening up for an evening of drinking and partying. 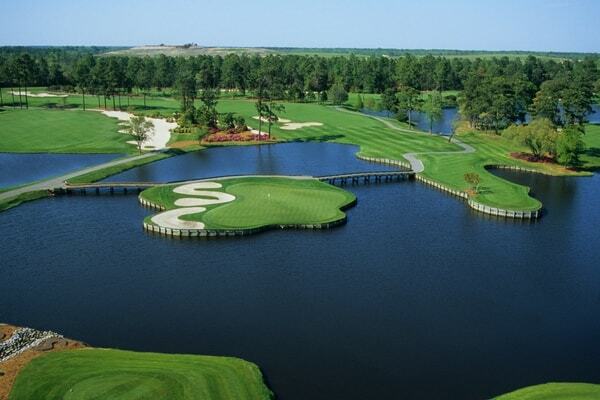 Perfect for large groups of golfers, Myrtle Beach is by far the golfing capital of the southern state, boasting over 110 courses, some of which have been laid out by legends of the game. Barefoot Resort & Golf perfectly epitomises this with no less than four courses designed by Greg Norman, Davis Love III, Tom Fazio and Pete Dye; a trip here is completely unforgettable. However the name dropping doesn’t end there, the King’s North Course at Myrtle Beach National is the product of one of the games’s greatest name, Arnold Palmer. The iconic 12th is the course’s standout hole as players look to overcome the island green and avoid the SC shaped bunkers. 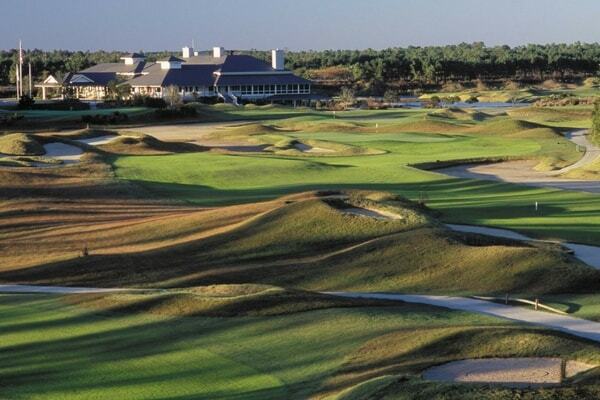 South Carolina not only offers unique championship layouts, beautiful beaches and a lively atmosphere, but also boasts easy access to Augusta. So why not combine the magic of the Masters with the golfing itinerary the nearby region has to offer for the golfing trip of a lifetime! 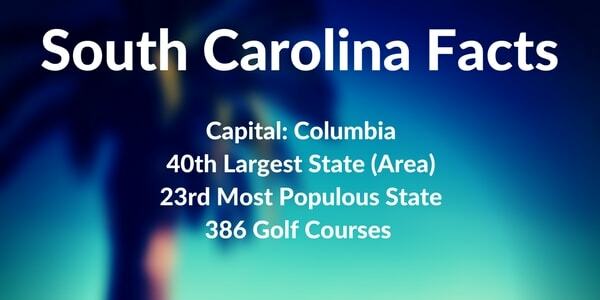 If you want to head to any of these incredible golfing destinations then see our South Carolina packages or call us on 0800 043 6644. South Carolina is such a great place for so much including golfing.